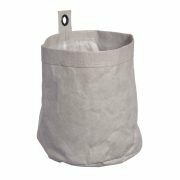 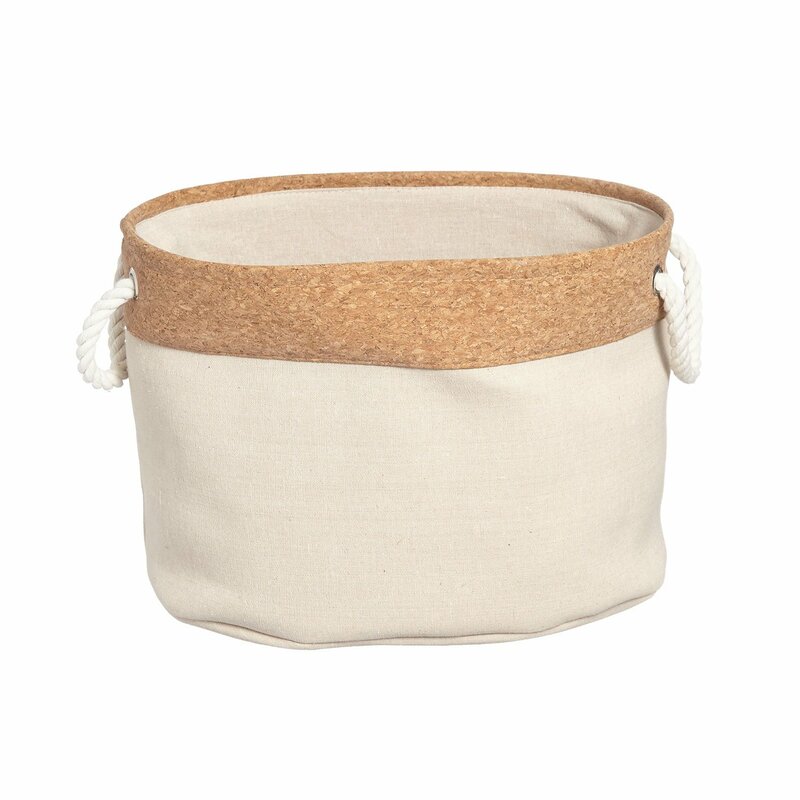 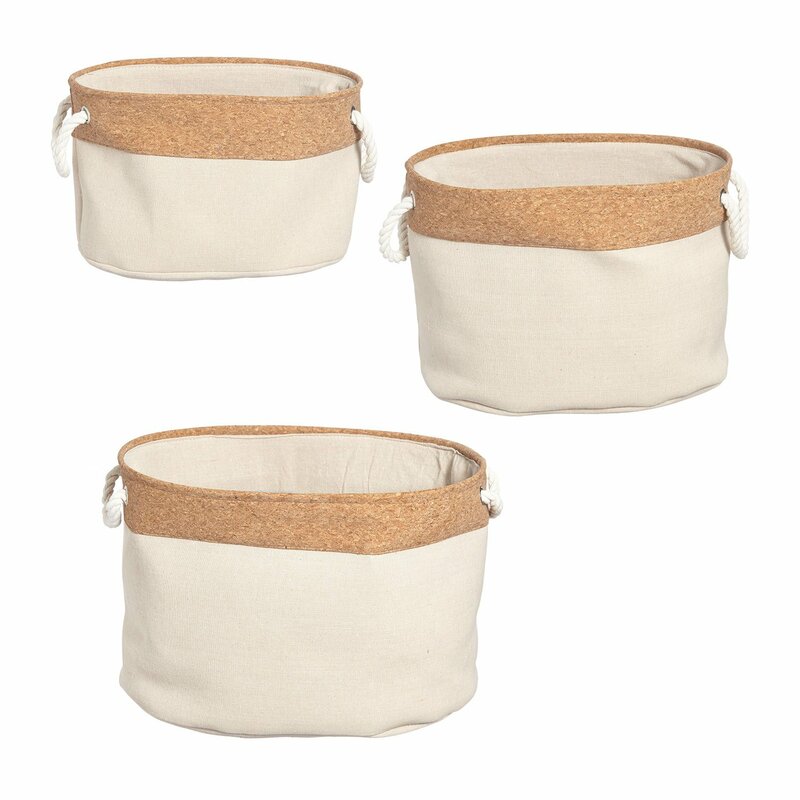 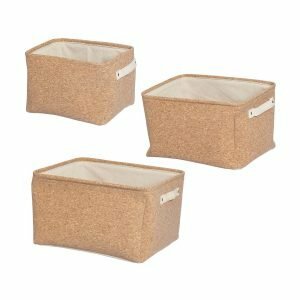 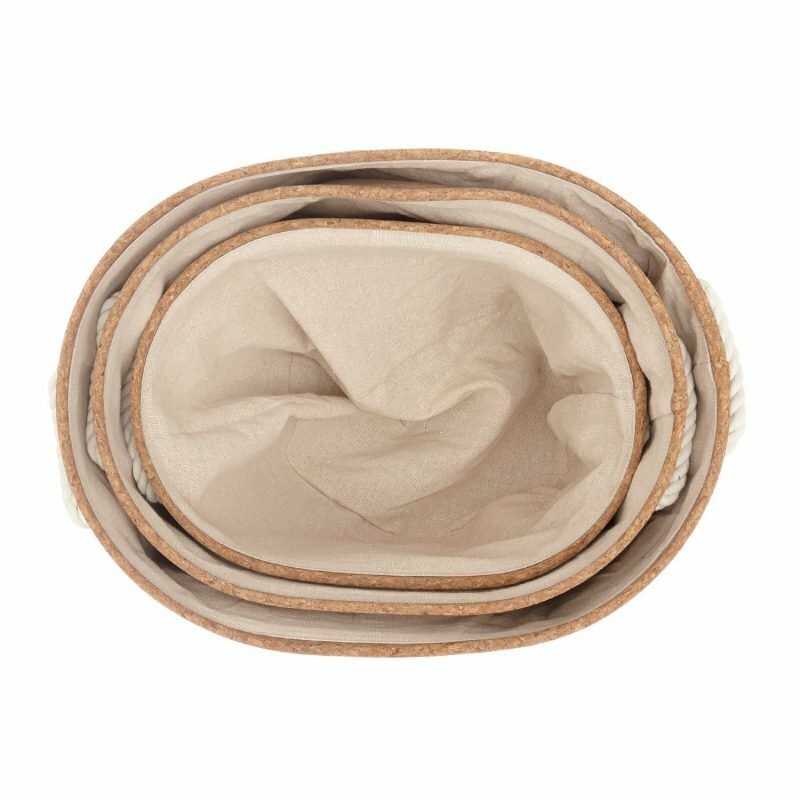 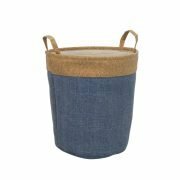 These stylish organizer boxes are in oval shape and made from cork fabrics (top material) and cotton (lining). 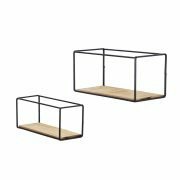 3 unites in different sizes make the storage possible for different kinds of items. 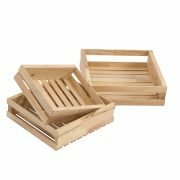 The units are nestable to save on space when you are not using them. 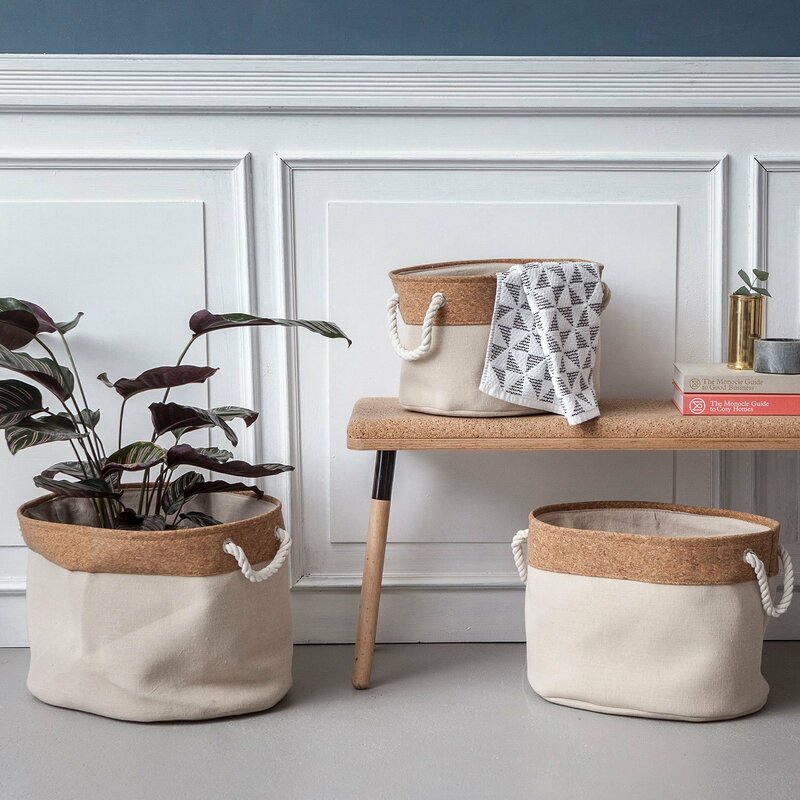 The color combination of cork and Off-White adds a nature touch to any room.